With Halloween only ten days away, it’s hard to go anywhere without being inundated by pumpkins, spider webs, costumes, and candy. In the spirit of the season, we thought you might like to know a bit about some of the more Halloween-y things you’ll encounter on your Grand Canyon river trip. We’ve told you a bit about bats before on this blog, but these creatures are so interesting that there’s always more to share! Bats likely get their Halloween-related reputation as scary blood suckers from their nocturnal and cave-dwelling ways. Early in the days of vampire literature, authors and artists saw fit to draw the connection between these night inhabiting (and little observed), winged mammals and the fictional blood-sucking monsters they were trying to create. The most famous of these, of course, was Bram Stoker’s Dracula who actually transformed into a bat. 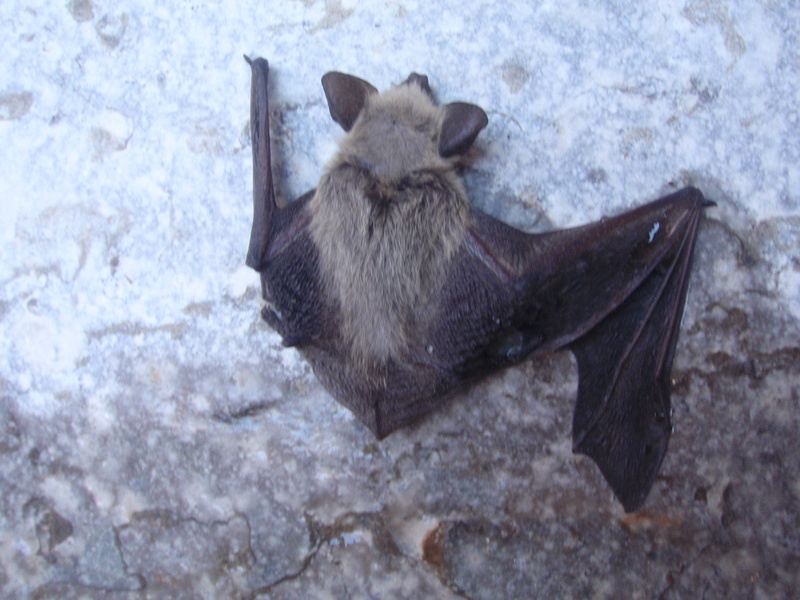 Contrary to their horror-style counter parts, though, bats are mostly harmless to humans, but essential to their ecosystems as pollinators (just like bees) and as insect predators. When you’re sleeping under the stars on your rafting trip, you can thank bats for keeping the number of insects "bugging" you down. According to the Grand Canyon Association 1, there are 22 species of bats in the Grand Canyon itself. Turns out, the canyon walls are filled with so cracked and cavernous, that there’s no shortage of places for them to roost. Species that live between the canyon’s walls or on its rims include the smallest bat in the United States, the western pipistrelle (Parastrellus hesperus), which weighs only about 2.5g—about the same as a penny—and the largest in North America, the greater bonneted bat (Eumops perotis), whose wings span almost two feet. Another notable species is Townsend’s big-eared bat (Plecotus townsendii), which used to have a large roost in Stanton’s Cave, but has since been disturbed by human impact. The Grand Canyon Wildlife Program works to track bat populations within the Grand Canyon to better understand each species and protect our canyon’s bats from threats like white-nose syndrome, a fungal infection that has killed millions of bats in eastern North America. Bats are the only mammals with true flight capabilities. There are nearly 1,000 species of bat worldwide. Some bats emit sound that bounces off objects and helps them determine the size of an object, its distance from them, its speed, and even its texture—a process called echolocation. Bats are the slowest reproducing mammals for their size, producing only one offspring per litter (though some species have up to three litters in one breeding season).